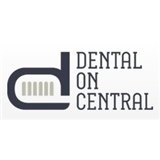 Dental on Central (Phoenix) - Book Appointment Online! Dental on Central is a family practice that utilizes a multidisciplinary approach to provide compassionate quality care for all patients. Through this multidisciplinary approach, our providers are able to work together as a team in the diagnosing and treatment of each patient’s oral health needs. Our team consists of top qualified providers including multiple specialists, physicians, general dentists, nurses, hygienists and auxiliary staff all in one location. Many members of our team are faculty at the Arizona School of Dentistry and Oral Health. In addition to treating families for their general dental needs, Dental on Central is passionate about providing care for patients with special needs, who may have mental and physical disabilities, autism and other behavioral syndromes, high anxiety, and medical complexities. Dr. Herro and all of his associates were prompt, courteous, and professional.